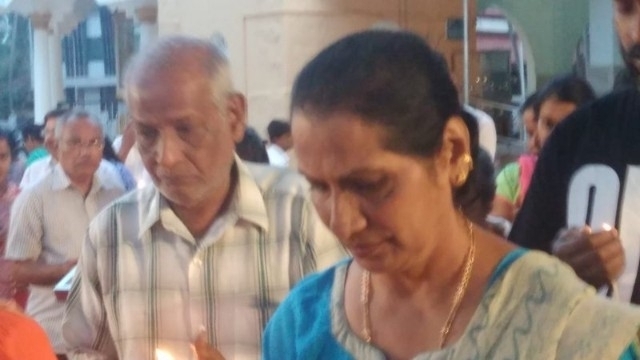 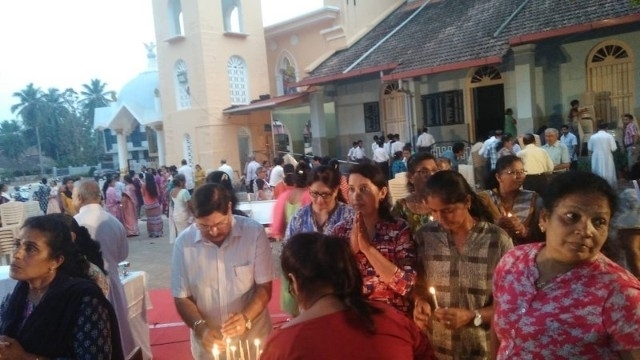 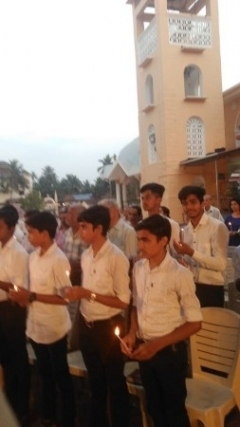 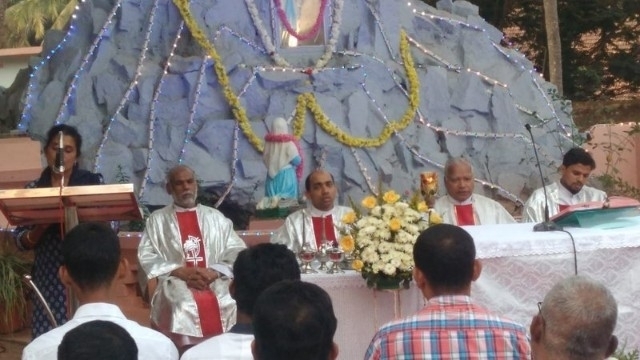 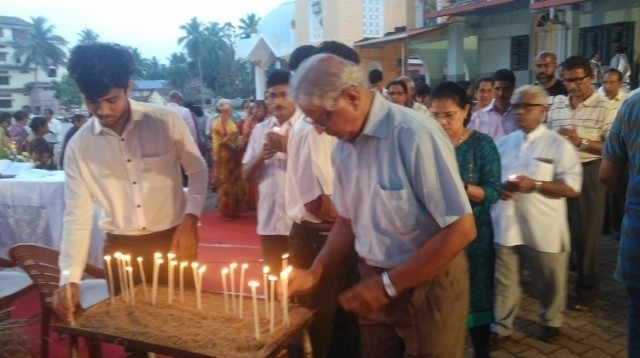 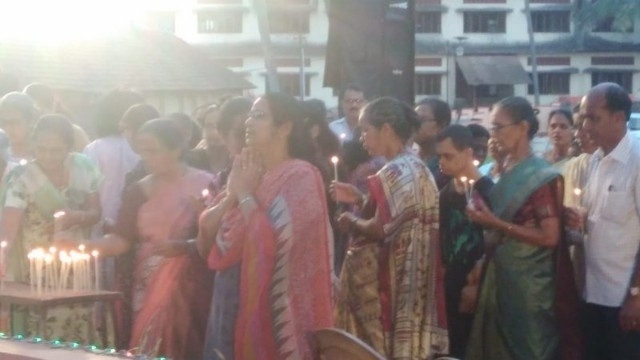 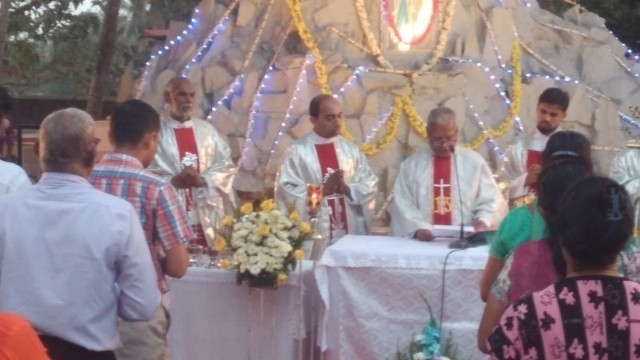 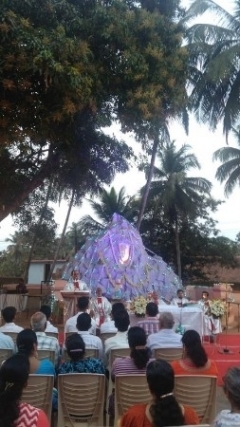 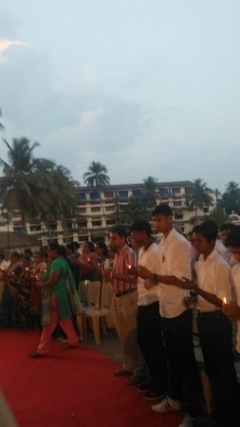 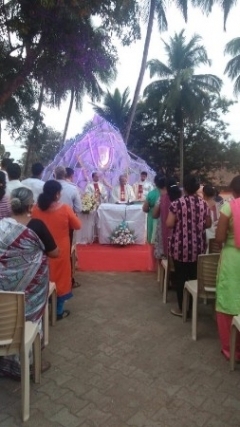 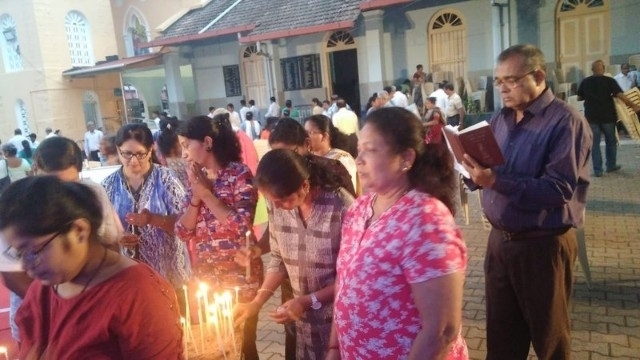 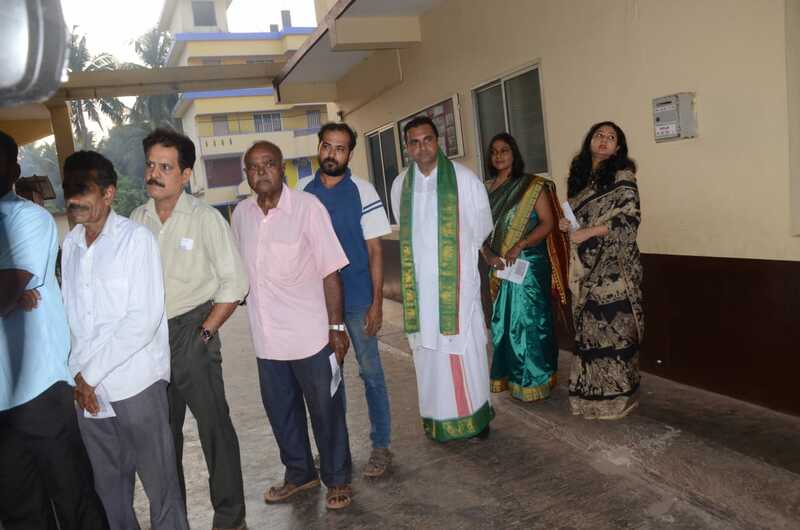 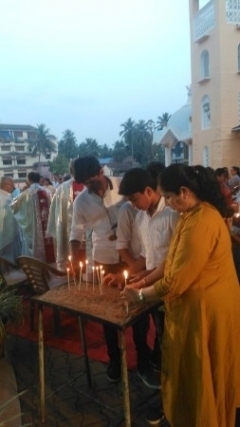 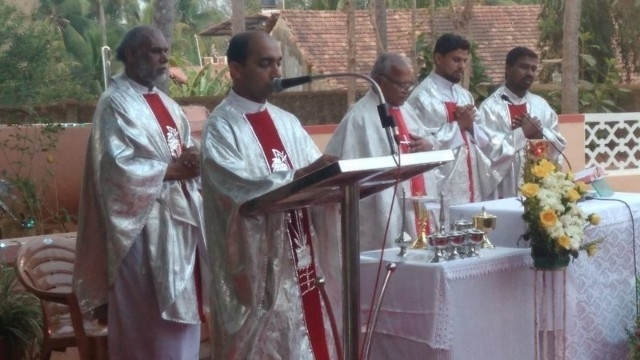 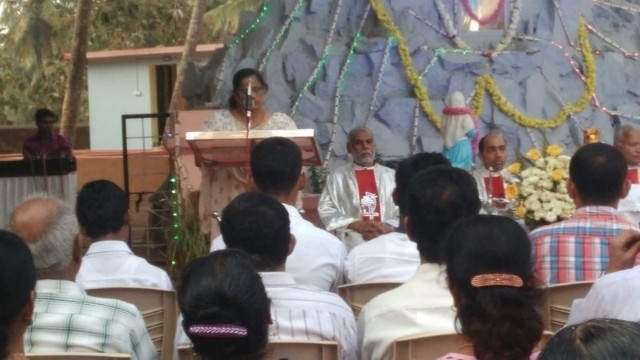 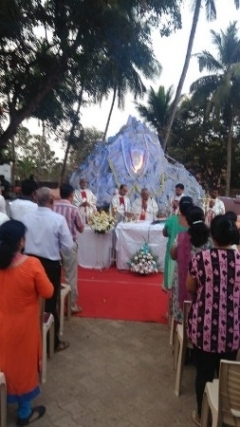 Udupi : The feast of Our Lady of Lourdes observed in front of Mother Mary Grotto at Milagres Cathedral premises at Kallianpur on February 11, 2019. 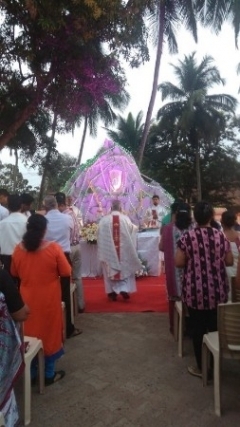 The feast celebrations began with Mother Mary Rosary prior to Eucharistic mass celebration in front of decorated Grotto. 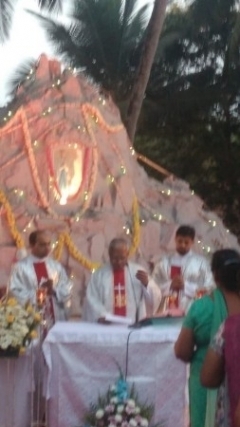 Very Rev Dr. Lawrence C D’Souza Rector of Milagres Cathedral concelebrated the mass along with Rev Fr. 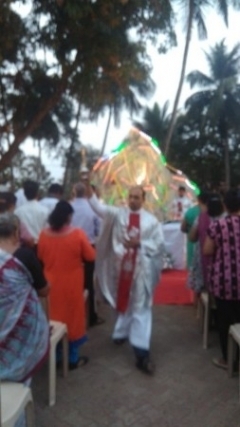 Canute Noronha Assistant parish priest, Rev Fr. 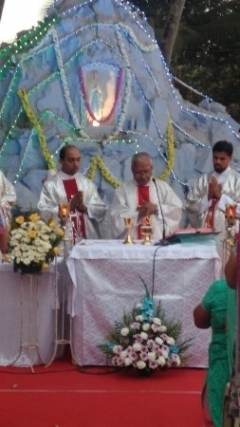 John Bennett Superior of Pilar Fathers, Rev Fr. 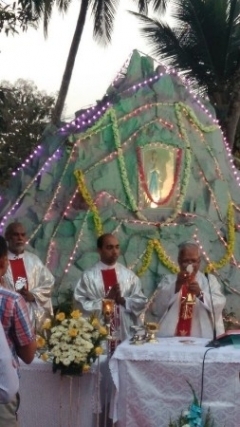 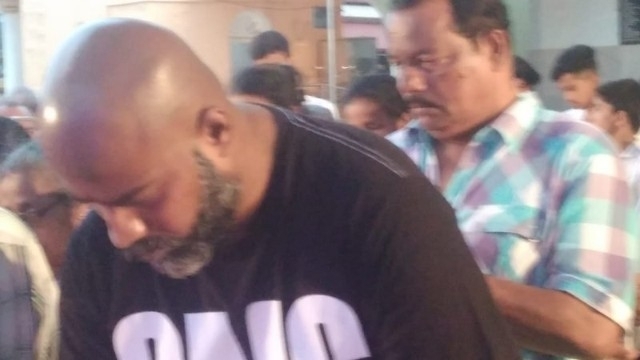 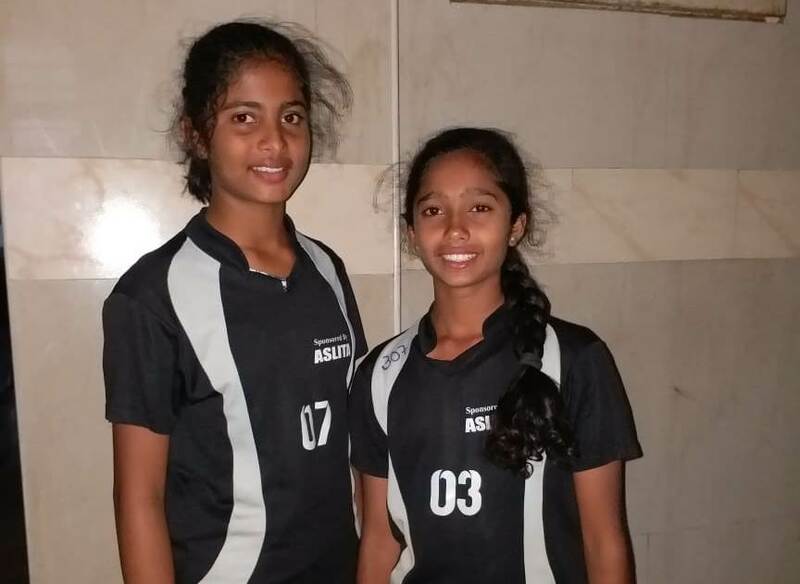 Jossy Mascarenhas and Rev Fr. 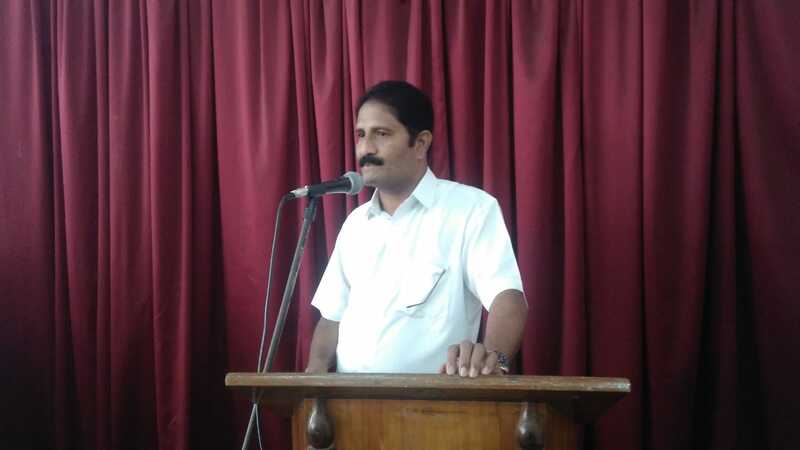 Michael Cruz of Pilar Fathers. 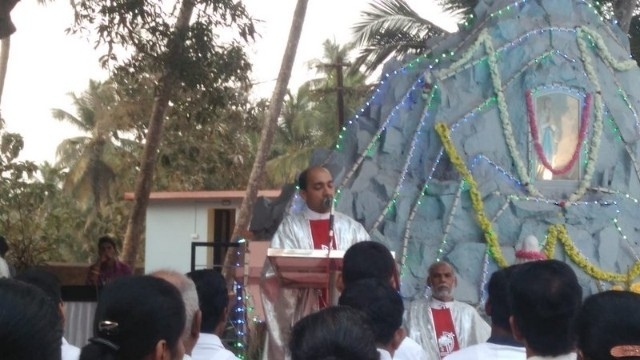 In his homily, Fr. 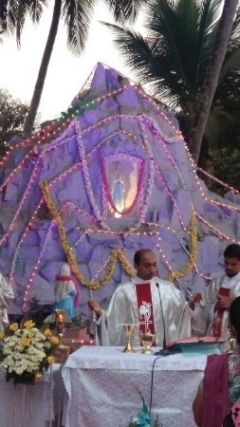 Canute Noronha placed the brief history about the Our Lady of Mother Mary of Lourdes. 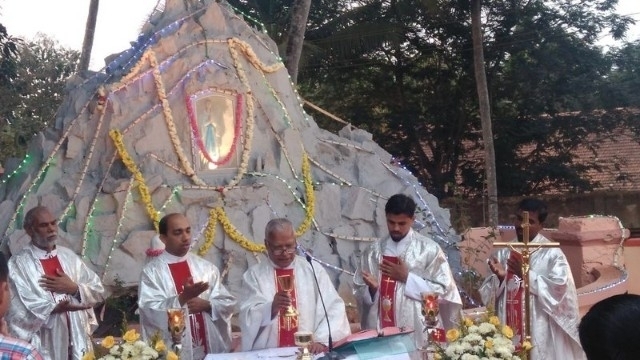 He said that February 11 marks the first apparition of the Blessed Virgin Mary in 1858 to St Bernadette Soubirous. 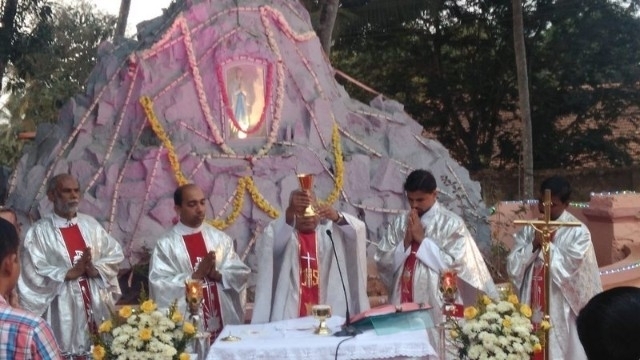 Between February 11 and July 16, 1858, the Blessed Mother appeared eighteen times to a poor, uneducated, sickly fourteen year old Marie Bernade (St Bernadete) times in the hollow of the rock at Lourdes at France. 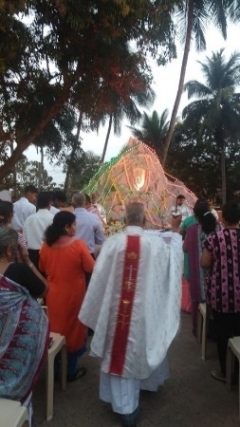 On March 25, the feast of the Immaculate Conception in 1858, she said to the little shepherdess who was only fourteen years of age. 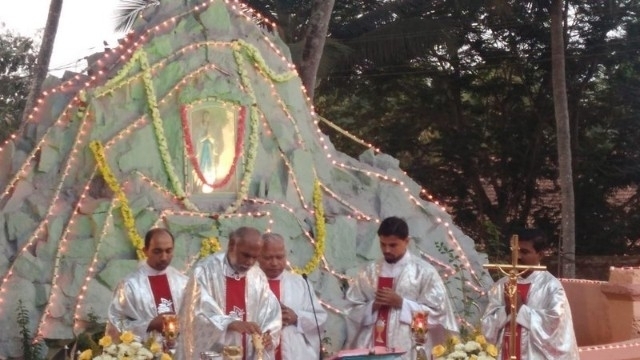 “I am the Immaculate Conception.” Because the dogma of the Immaculate Conception had been officially proclaimed less than four years earlier and Bernadette could not have even known of its existence when Bernadette repeated the words, it gave credibility to her apparitions. 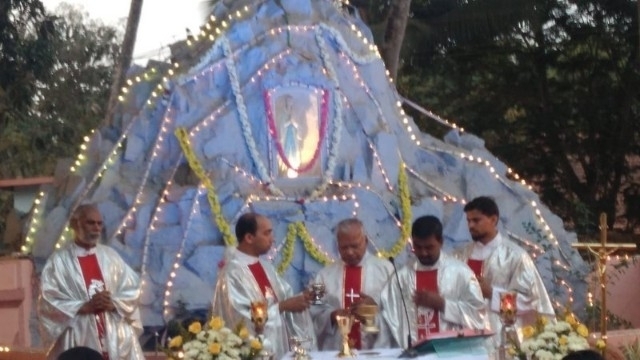 It was confirmation from heaven that the dogma of the Immaculate Conception was indeed true. 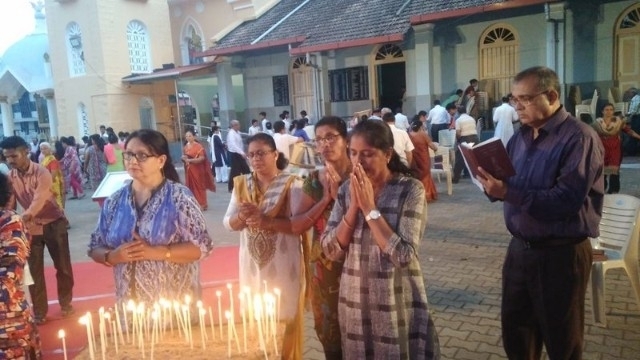 During one of these apparitions, when Bernadette was told by Mary to begin digging in the ground, she obediently did so, to the townspeople’s scorn. 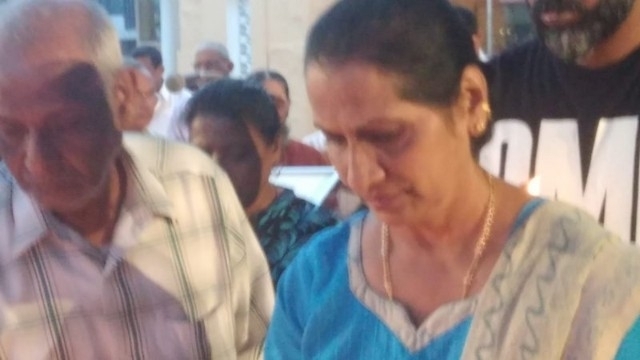 Water immediately began flowing from the spot where Bernadette dug, a tiny stream that has since has grown to the size of a small river. 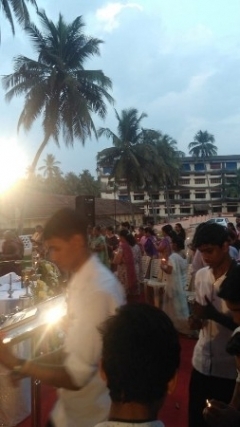 Thousands of healings have been reported as the result of people bathing in or drinking this miraculous water. 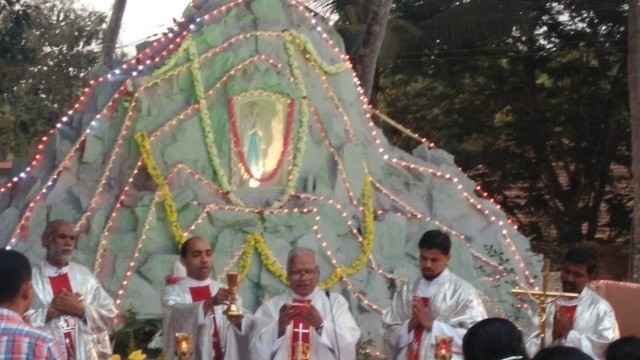 The walls of the grotto where the Blessed Mother appeared are lined with crutches of the lame that have walked away from the waters, totally healed. 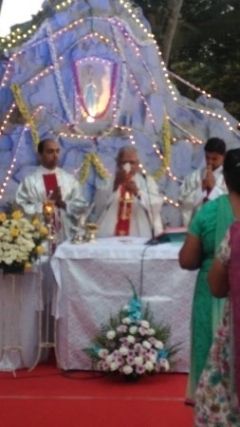 Three messages of Lourdes that first we are called to look at the grace and holiness of Christ in Mary become converted and be healed spiritually. 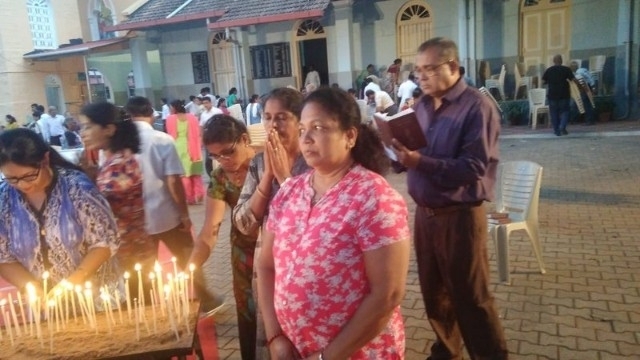 Second message was that of prayer in order to be more fully conformed to the will of God and third message was Bernadette herself – simple, poor and pure heart that opened her up to receive the grace of Holy Spirit and to experience the fruits of the redemption. 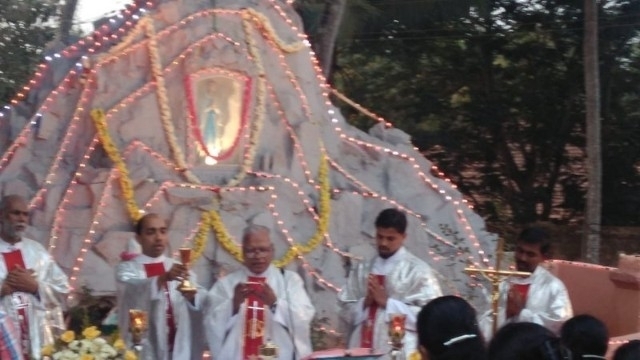 Thus the message of Lourdes is a call to personal conversion, prayer and charity. 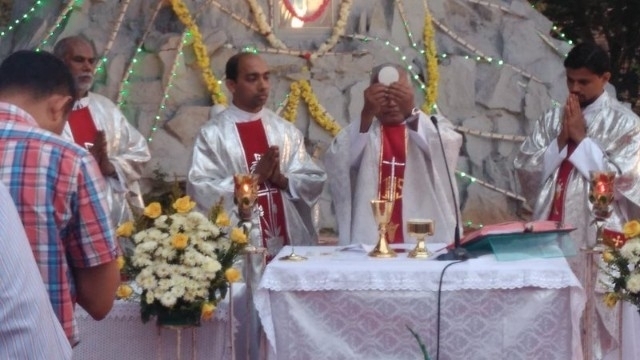 At the end of the mass, Fr. 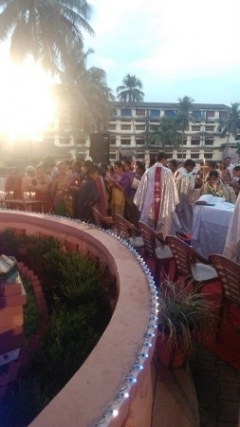 Lawrence held brief prayer and sprinkled Holy water on faithful gathered. 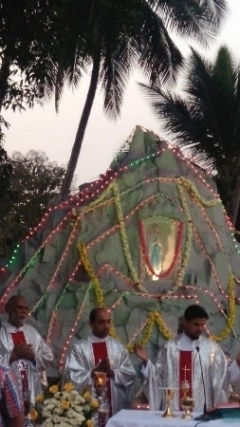 The devotees of Mother Mary at the end lit blessed candles in front of the Grotto. 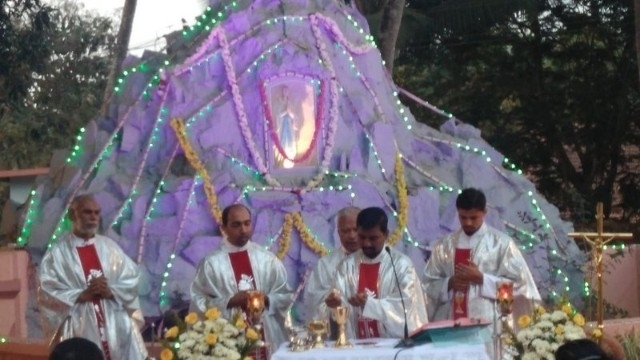 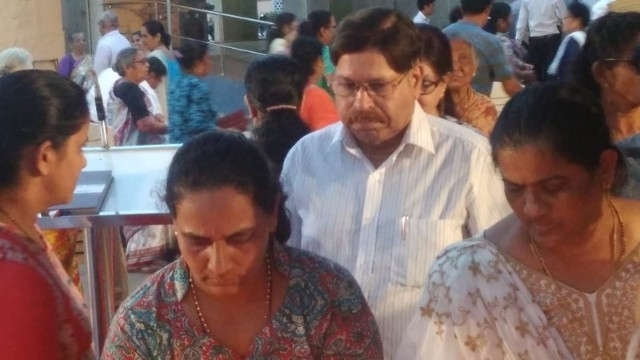 Special cake and drink was served to all the devotees gathered for the celebrations of the Lourdes feast held first time in front of the Grotto of the Milagres Cathedral since years.